This past weekend Nick and I sauntered down to Boston’s South End to experience Sowa Sundays, an amazing community event that reminded me of San Francisco’s Off the Grid weekly food truck bonanza. Is it weird that I’m still obsessed with Boston’s brownstones? Because I am. Our food truck adventure first led us to a secret community garden. It was a beautiful sunny day and the flowers were in full bloom. 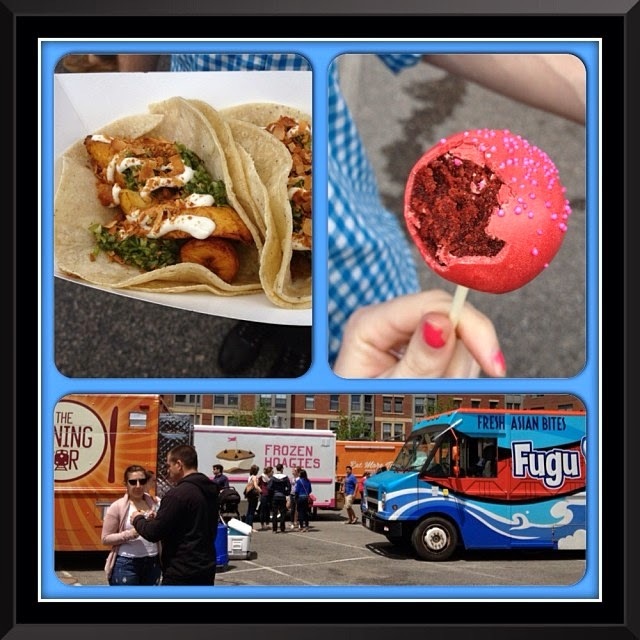 Upon arriving at Sowa Sunday, we were greeted by a gang of brightly colored beckoning food trucks, offering everything from crepes and “frozen hoagies” to Mei Mei and Fugu’s asian bites. It was a packed house, filled with happy eaters, families, friends and couples. It’s a dog-friendly neighborhood and event, so there were tons of adorable furry critters roaming around as well, no doubt enjoying any dropped morsels along the way. After browsing the trucks and menus, we finally decided on Fugu’s pork bun with char siu BBQ. As you can see, the bun itself went above and beyond it’s duty; it was pillowy, soft and perfect. The pork was great as well but could have benefited from a bit more char siu flavor. This was my favorite of our Sowa bites. What you see here is a scrumptious plantain taco, with cashew cream and greens. It was heavenly. Good job Taco Party! We also waited in line for Latin Spoon’s plantain cone, but there was only one lady working the orders and the line took way too long. We saw many people in line give up and eventually we got bored as well and took off. It’s a shame because the plantain cone sounded so amazing! Nick bought me this gorgeous red velvet cake pop to satisfy my sweet tooth. It was as good as it looks. We stopped by Grillo’s Pickles to see what all the fuss was about. Apparently they crafted this wagon themselves, which I thought was awesome. We got one spicy pickle and one regular. They were crisp and fresh and dill-icious. 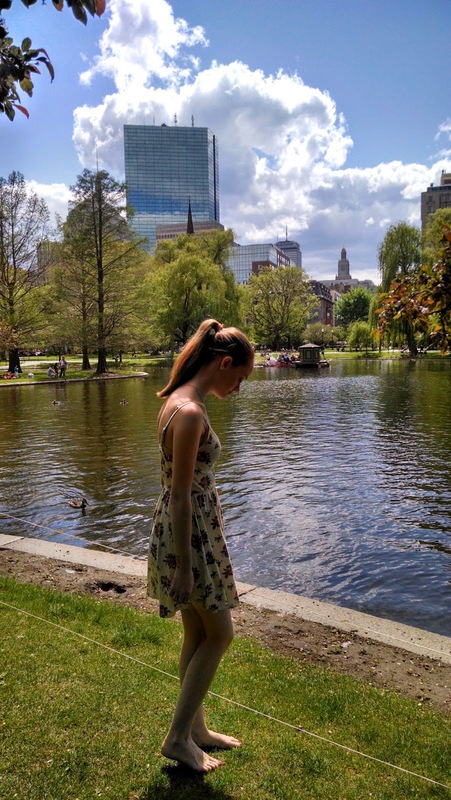 Hanging out in the Boston Commons after our Sunday excursion. It’s worth mentioning that around the corner from the food trucks was the most adorable vintage market. I was lucky enough to find The Fashion Truck, which is a trailer you can walk into and browse clothes, jewelry, etc. It was here I found my newest favorite ring – “oui” (French for “yes,” of course)! What’s the best farmer’s market you’ve been to? Do you have a favorite food truck? I had a blast and will definitely be heading back to Sowa Sundays soon!